This is a two-part resolution. Firstly, I’d like to use up the materials I have purchased over the years, and/or use recycled or thrifted materials whenever possible. Secondly, I’d like to participate in more group or community projects, like Mochimochi Land’s Let’s Knit a Ball Pit — ideally using materials previously specified. The ball pit will be a part of Vogue Knitting LIVE in New York City, and once the event is over they will be donated to the American Foundation for Children with AIDS. 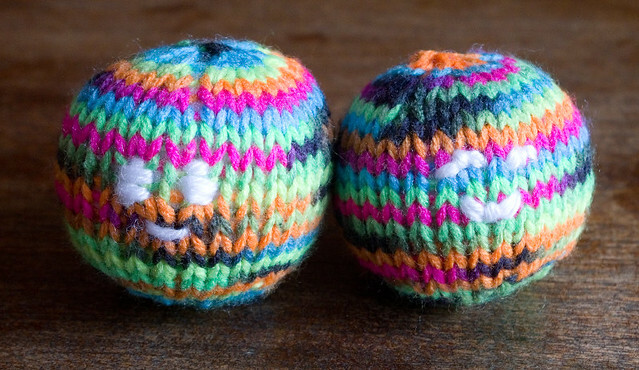 I contributed the two knitted balls in the photo above to this project, and I really enjoyed it! I hope that they arrive in time. I’d like to keep the ball rolling, as it were, and donate my time and skills to other events, even if it’s something as simple as hats for the newborn babies at the local children’s hospital. I would like to try to decrease our household’s reliance on single-use plastic, and to continue to reuse, repurpose, and recycle. To me, that doesn’t mean being rid of plastics entirely; actually, I think it would be rather wasteful to completely be rid of the plastics we do have, just to buy all new replacements in another material. 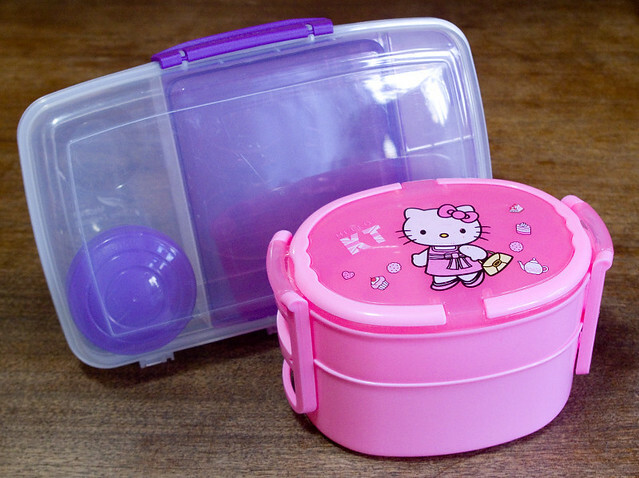 Rather, I’d like to commit to using recycled plastics, either post-consumer recycled commercial products, or finding a new home for second-hand plastic products, like the lunch boxes above that I bought at a thrift store. 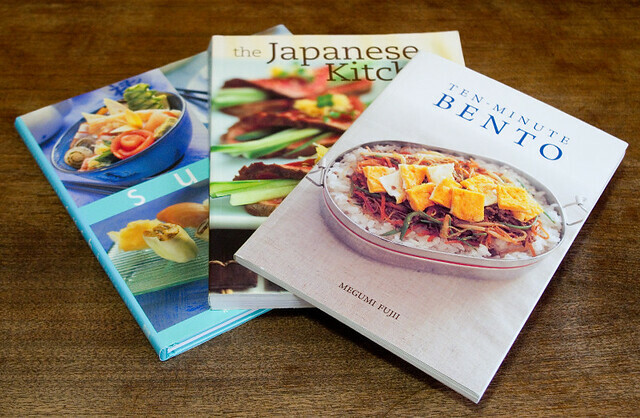 Of all of the books that I have thrifted lately, I think I am most excited about The Japanese Kitchen, which helps break down and de-mystify each ingredient, and Ten Minute Bento, which is all about quick and easy (and I think will become a favourite cookbook to pull out to prep dinner on busy weeknights). There is a lot about Japanese cooking that I don’t know, but these books look like they’ll really help me get a better grasp on it. Now, some of these, like the cupcake book and the cocktail book, are just for fun — but shouldn’t cooking be fun? The dairy-free one and the one about cooking in small kitchens (and I have to say, that title grabbed my attention) are probably the ones I’d use the most, though. Yet every cookbook is a kind of inspiration for me, even if I don’t try a single dish. I think that it’s time for my business to expand from flea markets to online. I think I will start with local sales, since a lot of my products are both heavy and quite breakable. I just don’t know that it would be cost-effective to try to ship vintage Pyrex or, heaven forbid, cast iron cookware. 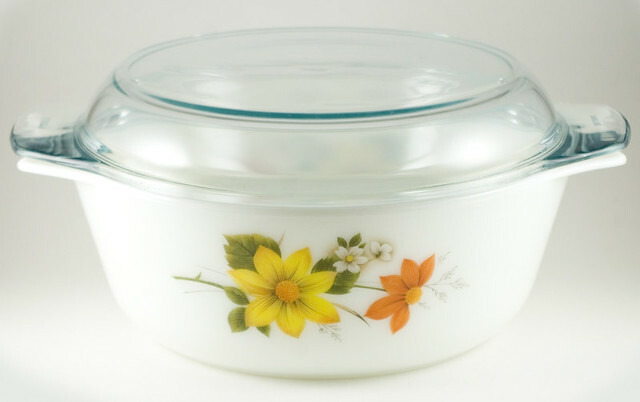 But vintage Tupperware is both hardy and light enough to make the trip! I think that this expansion will challenge my photography skills (since product photography is quite different than casual snaps) and my organization skills. I’m also looking at how to make it all as environmentally-sound as possible; I especially don’t want to package items in styrofoam, bubble wrap, or air-filled bags, since they’re all single-use plastic. I’m looking into wool and straw and other biodegradable options. People shipped things without breaking them long before plastic was invented, so there have to be options. The question is, can I keep it cost-effective? Challenges, challenges! So what are your resolutions for the New Year? Of course, because my friends and family know that I enjoy spending time in the kitchen, a lot of my Christmas gifts this year centered around that. 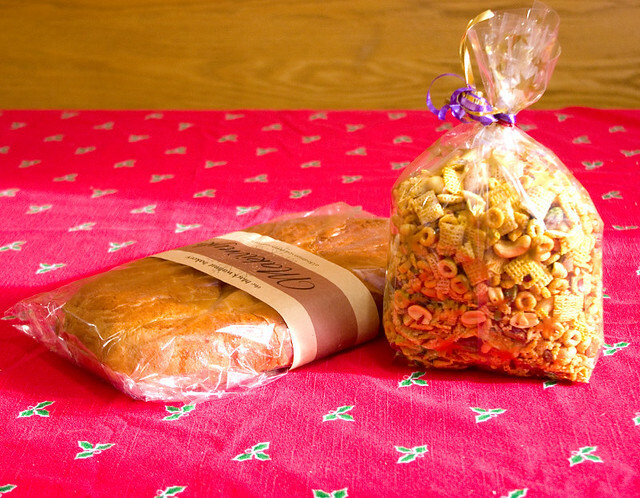 One of my friends gifted me with some delicious Chex Party Mix and a lovely loaf of Makivnyk (a Ukrainian style poppy seed tea roll) from the Black Walnut Bakery. Oh, and Thing 1 gave me the Chocolate Chip Cookie Mix In A Jar that she’d made, thus ensuring that she would get to eat some of them too. 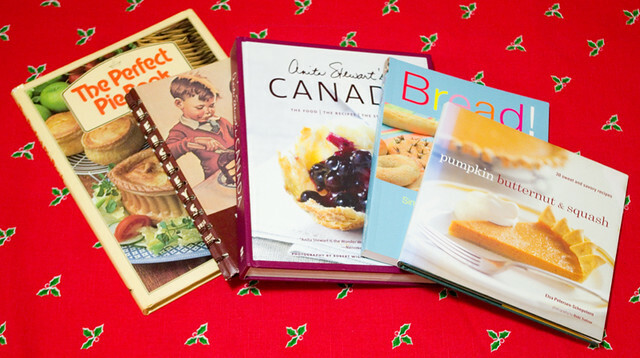 I also acquired a number of cookbooks over the holidays, some as gifts, others from thrift stores or as bargain books. 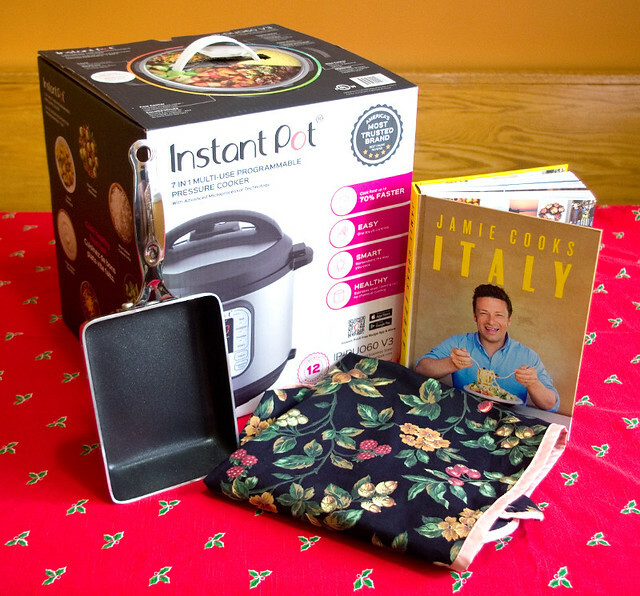 My parents gave me an Instant Pot and a handmade apron, my brother gave me a copy of Jamie Cooks Italy (since I’m a huge Jamie Oliver fan), and a friend gave me a Paderno tamagoyaki pan. I can’t wait to try out all of my new toys! This past Saturday I spent the day with a good friend of mine down in the Glebe. We started with a Saint Patrick’s Day lunch at Patty’s Pub, where we had great food and conversation while we listened to the live band playing Irish folk music. Then we headed out to 613flea (a great urban flea market) just up the road in the Aberdeen Pavilion in Lansdowne Park. When we finished there, we browsed the Ottawa Antique Market, and then we rounded out our day by perusing a second-hand charity shop. I know it’s not the kind of thing that everyone’s into (heaven knows my husband has no interest whatsoever), but my friend and I had a fabulous time! Of course, I did return home with a few treasures. 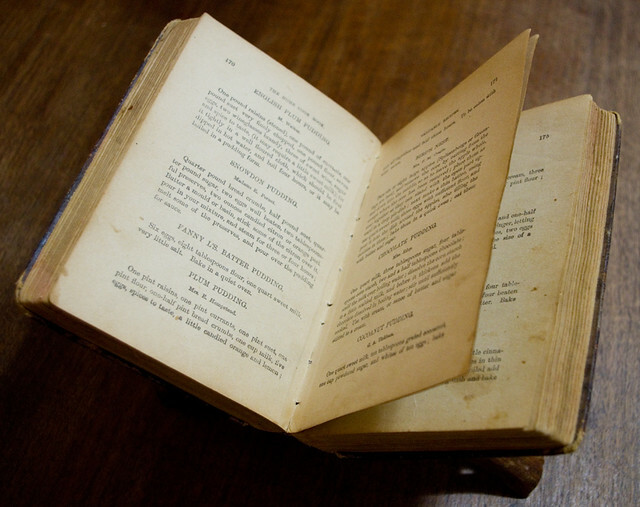 I think my favourite one of the bunch is a copy of the 1889 (seventieth edition) printing of the 1877 volume The Home Cook Book, which was compiled by the Ladies of Toronto and Chief Cities and Towns in Canada as a fundraiser for the Sick Kids Hospital. From what I understand, this is the very first Canadian cookbook that was compiled by an organization to be sold in order to raise funds. It’s such a common thing to do these days (especially as it gets easier and easier to self-publish inexpensively) that most of us who like to cook have at least one of these in our collection — and have probably contributed to a few. I’m really looking forward to diving into this book and trying to recreate some of the recipes. 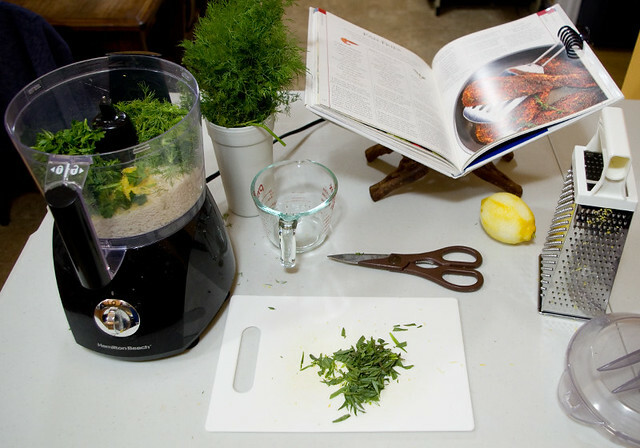 It’s going to be interesting, because the instructions are sparse and often vague as so many old cookbooks often are, since they assume a great deal of previous experience on the part of the reader. The book also refers to culinary techniques, measurements, and ingredients we don’t use any more. I mean, what is a quiet oven? Or a quick oven? Do we even grow Spitzenberg or Greening apples any more in Canada? When they talk about currants, do they mean dried or fresh? How much does a wineglass hold? Or a teacup? I’m going to be doing a lot of Googling, I tell you. Now, I love the feel and smell of old books, but this is the digital age after all and the book is well out of copyright. It was actually archived online by the University of Toronto and the Toronto Public Library; you can check it out in all its glory here. Or if you’re like me and you don’t want your old books contaminated by kitchen spatter, when you’re cooking you can always pull up the digital version on your phone or tablet. The fantastic old cookbook wasn’t my only find, though! 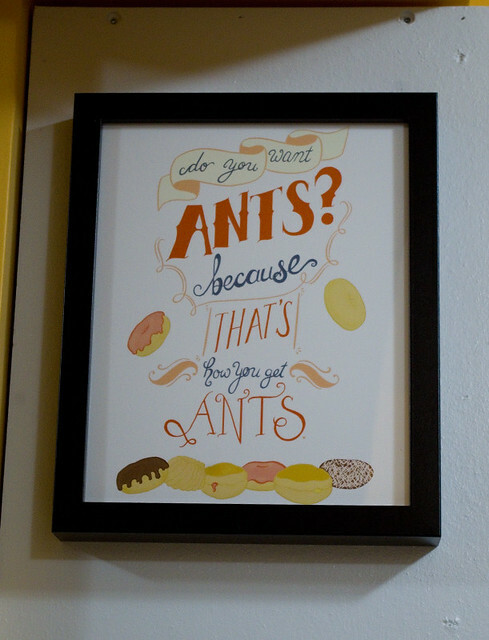 I picked up an 8×10″ print of Carabara Designs‘ hand-lettered print of the “Do you want ants?” quote from the TV show Archer. I am constantly amazed by my kids’ capability to utterly destroy the kitchen with two pieces of toast, so I’ve been thinking this a lot lately. 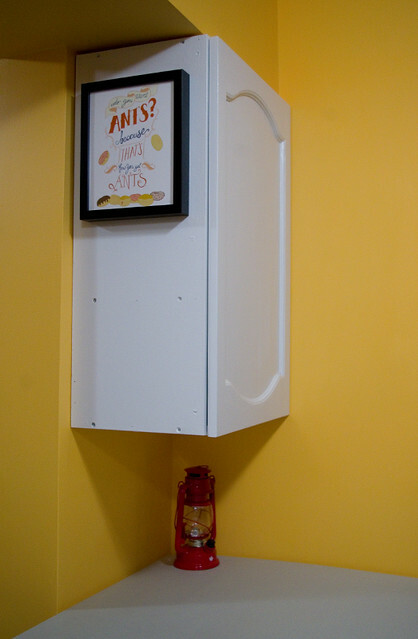 The print has pride of place on the side of the cupboard above the kitchen counter peninsula, hopefully where the kids will see it. But kids being kids, they probably won’t even notice. Ah, well. I think it’s perfect, and it even matches the paint job. Now all I need is a coordinating print to go underneath. Last but not least, I picked up some Fuzzy Navel Jam from Tastes of Temptation. This jam tastes just like summer, which is exactly what I need right about now. Honestly, I liked everything they had on offer, but this was the one that made me smile the most. 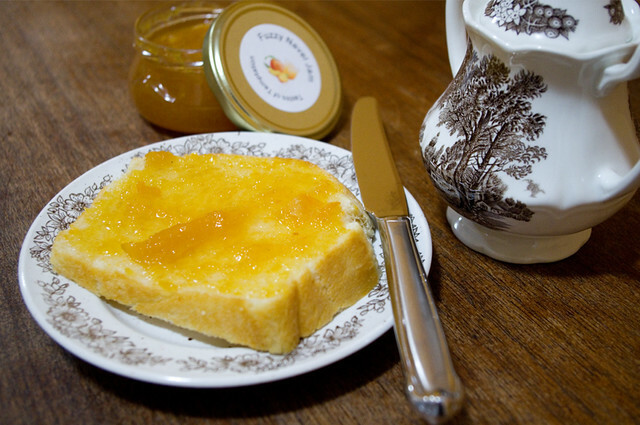 Spread on a piece of fresh homemade bread, it makes a divine snack with a cup of tea! Today I was lucky enough to find a copy of Essential Cooking Basics: The New Cook by Mary Berry & Marlena Spieler (1997) for $1.25 at a local charity shop. I’ve just started watching Mary Berry on YouTube, which makes it seem like I’m way behind the curve since she has written more than seventy cookbooks, but honestly she’s not as big of a name here as she is in the UK! I mean, only seven of her books are available in hard copy via Chapters, and in brick-and-mortar stores she’s even harder to spot. It’s a tragedy, actually. My introduction to Mary Berry was via old episodes of The Great British Bake Off where she was the judge. I mean, none of that was the recipe’s fault. The book is really intended for a British audience, so it’s not unheard of that some of the ingredients can’t be easily found this side of the pond. I’ve run into this problem with international cookbooks before. It is a frustrating, though. 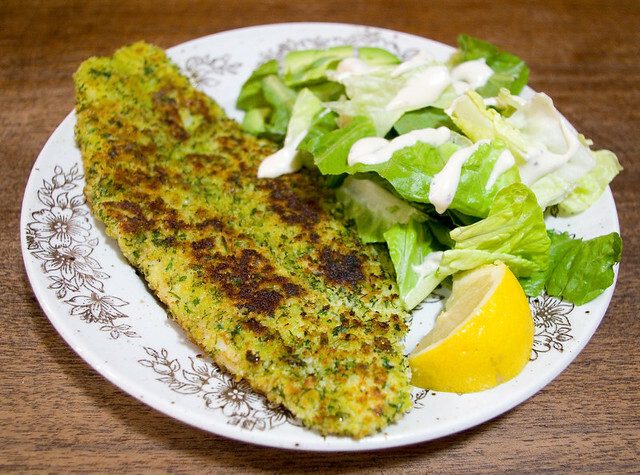 Herb-crusted basa fillet with sliced avocado and romaine lettuce with Greek dressing. When all was said and done, I was really happy with the final product. The substitutions worked really well. I mean, I have no idea if it tasted anything like what Mary Berry intended, but it did taste good! The whole family ate theirs and asked me to make it again sometime. The recipe’s instructions were clear and easy to follow, which is exactly what I was looking for in a book with “basics” and “new cook” in the title. The step-by-step photos throughout were great as well. I hope that I’m past the “new cook” stage by now, but it never hurts to brush up. It’s also great to have an illustrated guide when the instructions are from another country, because the terminology sometimes changes. All in all, I look forward to preparing recipes from this book again. I also hope to use it to help my kids learn to cook. If you prepare the dressing in advance (the recipe makes enough for a week’s worth of breakfasts for one person), this dish only takes about ten minutes to make. I don’t have a metal colander to put over the eggs in which to steam the asparagus, so I cook it in the microwave using a steamer dish. I also discovered that it takes a little longer than 5 1/2 minutes to make soft-boiled eggs around here; as the above photo attests, my first try was a bit underdone. It’s more like 6 1/2 minutes. 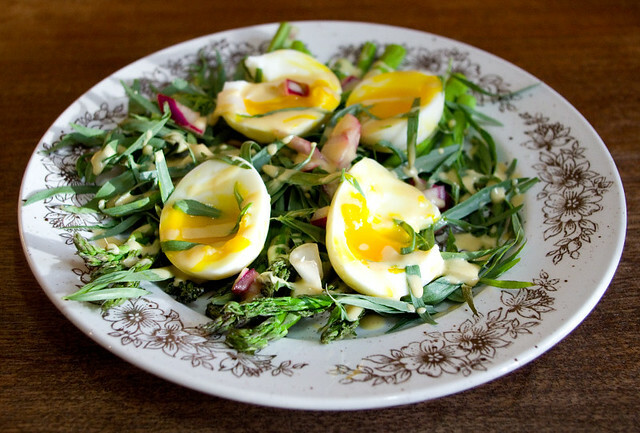 Things I discovered about myself when making this recipe: I’m not a big fan of raw tarragon (it tastes a bit like black licorice to me, which I despise), and I have a limited tolerance for raw red onions in the morning. 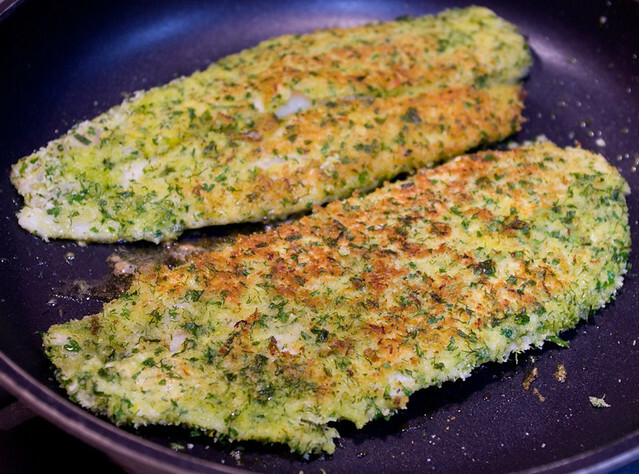 I just started skipping the tarragon entirely, but I wonder if this dish might be good with a bit of basil instead? And although I like the red onion flavour in the dressing, I had to stop eating it as a garnish. Otherwise, I could taste it on my breath all day, even after brushing my teeth. I received some absolutely lovely Christmas gifts this year from friends, family, and Santa Claus. 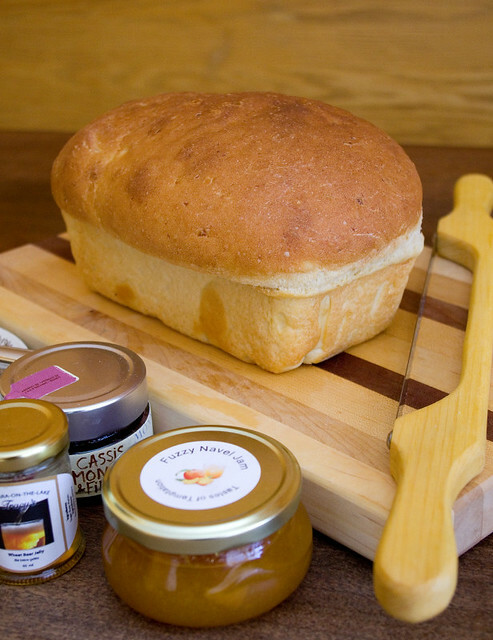 Some of the gifts would likely be of interest to other crafty- and foodie-types. My brother gave me one of those fantastic crocheted knight helmet hats and the previously-mentioned Jamie Oliver 5 Ingredients Quick & Easy Food cookbook (Jamie Oliver, 2017). My husband gave me a copy of How to Cook Indian by Sanjeev Kapoor (2011). Santa brought me some lovely worsted-weight variegated yarn, which I am currently turning into a hat. My parents bought me a funny (and very accurate) Procrasti-knitter T-shirt from White Owl Crochet. But I do have a weakness for handmade items that combine practicality with beauty, and this year my parents picked out some absolutely lovely pieces for me. 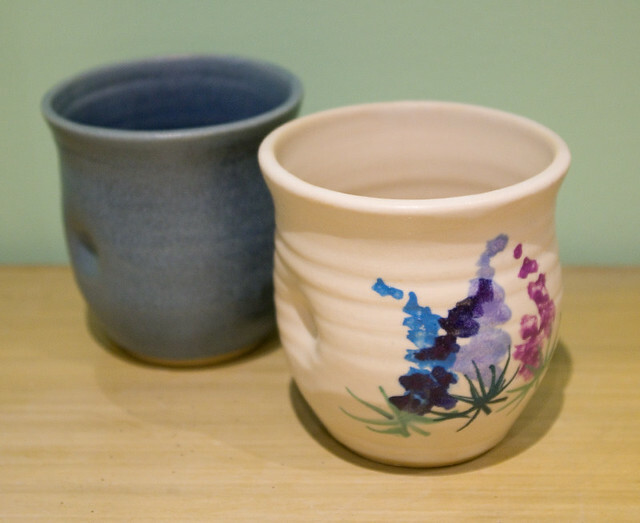 The first is a pair of wine tumbler/tea bowls from Greig Pottery. The one on the right is patterned with lupins, which is a flower that I first fell in love with on a trip to Newfoundland with my mom about eight years back. In shape and size, these vessels remind me of Japanese teacups, although they are intended for both hot and cold beverages (so far as I know, you’d never have a cold beverage in this kind of cup in Japan). They fit comfortably in my hand and the little indents — one on either side — are perfectly placed for my thumb and forefinger. As a bonus, they’re both microwave and dishwasher safe. I can’t wait to use them, possibly for some rum and eggnog before the season is over. Mom and Dad also gave me this gorgeous two-tone rosewood & mango wood yarn bowl from Knitpicks. 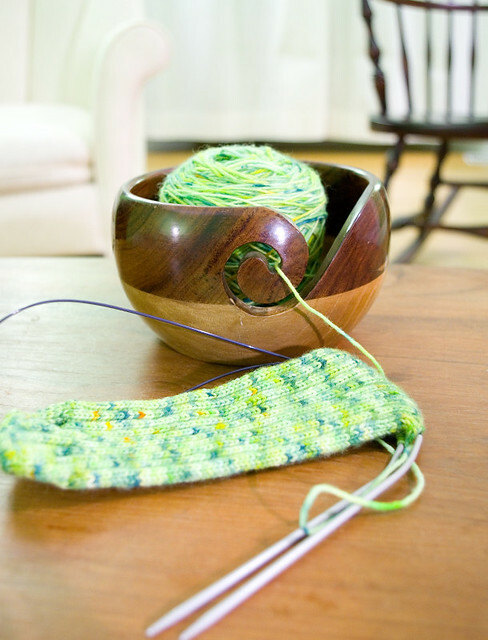 They actually gave me two hand-potted yarn bowls (in different sizes, for different-sized balls of yarn) last year for Christmas, but my kids managed to smash both of them on the same day. Needless to say, I was not amused, as the bowls sat on the table in the living room where the kids aren’t supposed to be playing in the first place. I was very vocal (possibly too vocal) about how much I missed the old bowls, so Mom actually hopped onto the Internet and ordered me a new one — one that, it should be noted, should be much more difficult to smash. Touch wood. I love the glassy-smooth finish of the wood; when I got the bowl, I couldn’t stop running my hands over it. I was especially proud of my mother for ordering it for me, since she had never before shopped online on her own, usually getting my brother or I to order things for her. I don’t see an Amazon Prime account in her future, but I like that Mom is now able to put aside her worries about online shopping, at least for items that she can’t get in town. I want to take this opportunity to say a sincere thank-you for all of my gifts this holiday season. Although, as Garfield points out in the Christmas special that we watch every year, it’s not the giving, it’s not the getting, it’s the loving.